You are here: Home / Hiring and Selection Procedures for Teachers / Do Applicants to a School District Deserve a Realistic Job Preview? How should principals in challenging schools present their school to applying teachers. Should they make applicant teachers aware of the challenge that awaits them at the risk of losing a promising applicant or surprise them once they have them under contract? What about administrators and school district leaders? If the past superintendent destroyed the trust of the community and created a climate of contention and mistrust among the school board and staff, should incoming superintendent applicants be made aware of the troubled waters they are about to wade into, again at the peril of losing the best applicants? If one of the most important tasks in human resources for school districts is selecting new staff members and getting them on board, the second and potentially more important objective for school district human resources and district leadership is keeping the best staff members and engendering trust and open communication. Most teaching positions are associated with an employment contract, a written agreement of employment for a specific time period. Employers often fail to realize they enter into a completely different type of contract when a new employee is hired, a psychological contract. Psychological contracts represent the informal obligations, mutual beliefs, or perceived mutual beliefs and obligations between employee and employer. New employees generally make decisions to accept or reject a job offer based on early impressions of the workplace and discussions with either the recruiter or first line supervisor. It is at this point a school district must put their best foot forward, but also be candid about the probable work setting and provide applicants with a realistic job preview. If negative factors of the job are not revealed, or if new employees have the perception that information was withheld as they decided to accept employment, they are likely to feel the psychological contract was violated and are more likely to develop poor attitudes about the district or leaders and leave the organization. Realistic job previews (RJPs) are exactly what they sound like, an accurate description or demonstration of the work environment and context the applicant will potentially join. RJPs can be used to help new employees determine how well they will “fit” in the school district. Job previews also affect perceptions of the climate in the workplace and they can shape initial expectations. In research, RJPs have been found to be related to early job satisfaction, job performance, and job survival (continued employment). In further research studies, realistic job previews were found to lower initial expectations about a job and the organization. Often this will increase the number of candidates who may drop out, or self-select out of further consideration of employment. At this point RJPs may seem counter intuitive Why would a school district want to decrease their applicant pool of teachers and administrators applying to the districts? Why would you choose to lower expectations of the school district, and drive away qualified applicants? Remember, RJPs should be based on realistic conditions and climate of the job. Applicants should be allowed to make decisions about conditions they are likely to experience on the job. Applicants who are exposed to realistic job previews should be more likely to have higher initial levels of organizational commitment. They are more likely to be satisfied with their decision to accept the position in the early stages of employment, and RJPs are more likely to increase job survival for newer employees of the school district. In short, good or bad, they know what they are signing up for. People are looking for a cause bigger than themselves. They want to invest themselves in something worthwhile and meaningful. But, they also want to feel like they can trust the people they are working for and see actual progress towards achieving the mission they signed up for. Be transparent about the job(s) you are filling. 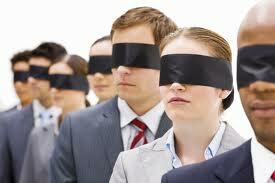 Don’t bring members on board who have been blindfolded to the realities of the job. 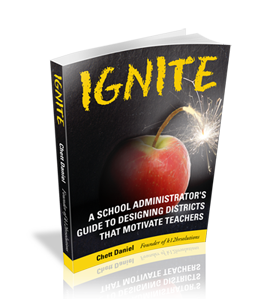 Enlist them with the knowledge of the tough work to be done and give them a vision of how they can help accomplish your district’s mission.